Mike Ryan is a financial professional, helping business and families with solutions to protect their business, family, finances and future. He is dedicated to helping them to take control of their finances, eliminate debt and interest obligations, reduce taxes and obtain a safe and secure retirement plan. He is life/health and securities licensed, certified in Medicare with all the major carriers, as well as California Partnership for Long Term Care. He is active in both the chamber and community, and is a chamber ambassador. 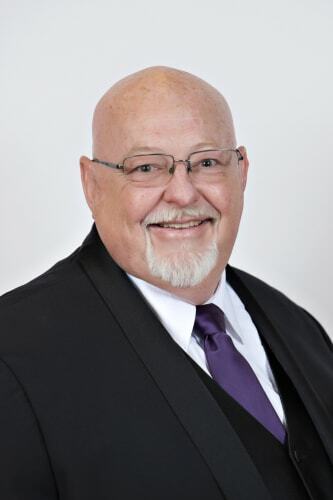 He is Chairman of the Board for Peppermint Ridge and a member of their finance committee, a board member of the Dayle McIntosh Center, member of Circle City Rotary, on the fundraising and annual walk committee for the Alzheimer’s Association, and is also on the speakers bureau of the Alzheimer’s Association. He is a member of the Inland Empire Disabilities Collaborative. He was proudly married to his wife, Caroline, for 42 years, has four grown children, 12 grandchildren (two of which are proudly serving our country) and 3 great grandchildren. He is known for his work with families, small business, the senior community, as well as those with special needs, with a focus on quality of life. Don’s family moved to Corona over sixty years ago. Except for leaving the state to earn a college degree and to live in his wife’s native Sweden for one year, Corona has been his residence. Since retiring after spending forty years in the grocery business, Don has busied himself with researching and writing about Corona history. He was co-author the book, “From One Room...” which details the history of the Corona-Norco Unified School District titled. He is currently finalizing another book about Corona history, which is due for publication this year. Don says, “I belong to the last group of kids that grew up in Corona when it was still a small town. I feel an obligation to those that lived here and that are now living here to accurately preserve the town’s true story.” To help achieve his goal, in 2015 Don founded the non-profit “Corona History Association”. 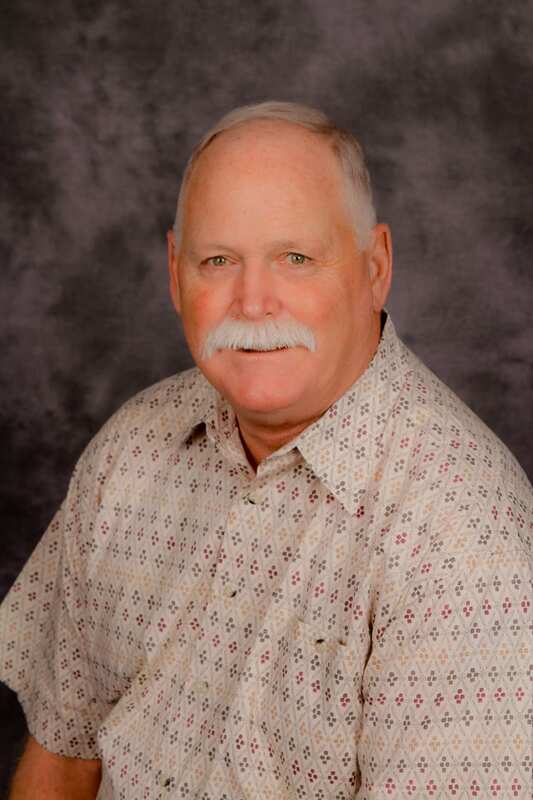 Appointed by the Riverside County Board of Supervisors, Don serves on the Riverside County Historical Commission. He served six years as a Corona Public Library Board of Trustee. An enthusiastic baseball fan, Don has been married to his wife, Marina for 41 years. She teaches kindergarten in the Alvord Unified School District. Like her father, Don’s daughter, Camilla, is a graduate of Corona High School. She and her husband are both attorneys living in Glendale with Don’s precious 7-year-old granddaughter. His son Kyle, a member of Santiago High School’s first graduating class, is married and teaches special education in Fullerton. He has two step granddaughters and another granddaughter, "Frankie", born in January 2016. Kim Mabon has been working as creative professional for over 20 years. During that time she has worked with a variety of advertising agencies, publishing companies and businesses of all types. She has received over 60 awards from various organizations for her creative works including several Gold & Silver Awards from Association Trends as well as multiple Maggie Awards from the Western Publication Association. Mabon is the founder and CEO of Creative by Design, a full-service agency that helps their customers improve their bottom line with high-quality, consistent and effective graphic & web design as well as print & promotional products. She is also a published author, Adobe Creative Trainer and Public Speaker. 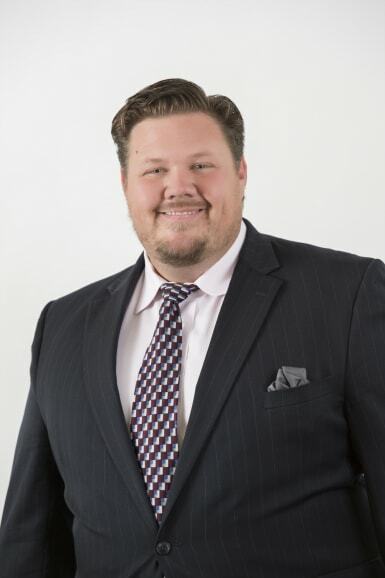 Jon Haratyk is the ‘Problem Solver’ & ‘Happiness Maker’ at Living Better 101, Inc. With a professional sports history combined with his entrepreneurial experience, he brings an attitude of winning to whatever is placed before him. His vast business skill set comes from owning and growing small businesses to building a large corporation. With Jon’s understanding of business finance and the inner workings of business, along with his knowledge and understanding of credit, he has his own velvet hammer style he uses when dealing with creditors and credit bureaus that makes him truly an asset to Living Better 101. Jon’s belief that there is not a problem that cannot be solved, and no issue that cannot be dealt with is the reason our clients are finally able to LIVE BETTER – leaving their past in the past. Jon can be found on the golf course, cooking up a storm in the kitchen or attending local community events. He is happiest spending time with his partner, in life and business, as they juggle a family of nine children and eleven grandchildren. Palbinder Badesha is the Riverside-Corona franchisee for Express Employment Professionals, an international full-service staffing company. She opened in 2006 and since then, her team has been able to find jobs for over 15,000 people with local businesses, increasing sales by 60 percent since 2009. Palbinder moved to Corona in 2002 from England, where she worked for 17 years in local government and the non-profit charitable sector. Palbinder’s first job out of university was establishing a refuge for women fleeing domestic violence. She later went on to develop policies and projects to support homeless women. In her last position, Palbinder led a team which focused on building sustainable communities by ensuring that local people and businesses were partners in tackling high unemployment and urban deprivation. Palbinder was drawn to the employment field because she wanted a business which helped people and businesses succeed! 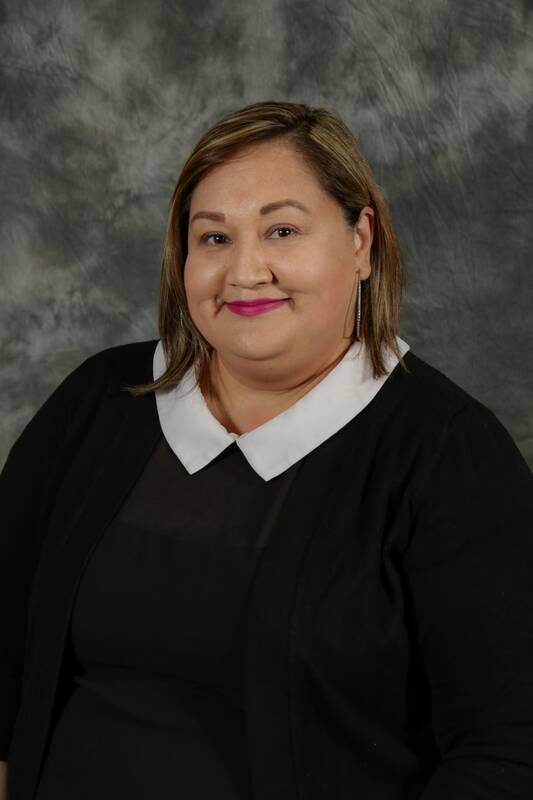 She is passionate about giving back to her community and is active in the following organizations: Asian Business Association, Business Resource Connection and Corona-Norco United Way. Palbinder was a 2008 finalist in the Spirit of the Entrepreneur Award and recipient of the Inland Empire Asian Business Association Entrepreneur Award in 2012. She received the 2014 Small Business of the Year Award from the IMPACT Foundation. Palbinder is married to Baljeet Aujla, and they are parents to Jeevan, 15, and Amarpreet, 21. Living Your Purpose with Confidence. Our desire is that all of our clients know or find their purpose in life and take assertive action to live out that purpose, and we are here to help. Western States Financial celebrates 25 years in helping our clients live with financial peace of mind. John Weyhgandt is an independent fiduciary and registered investment advisor. He has been creating portfolios and financial plans that allow clients to focus on what’s important in life: Faith, Family and Purpose. John has been married to his lovely wife Marlene for 25 years and has one daughter, Courtney, who is getting married this year, in 2019. John has lived in town since 1974. His hobbies include reading, BBQing and traveling. Our Products and Services Offered: Financial Coaching, 401(k)s, IRAs, Life Insurance, Tax-Free Retirement, Annuities, Disability Insurance, Keyman Policies, Estate Planning, Medicare, Social Security planning and much more. We are “At Your Service”. 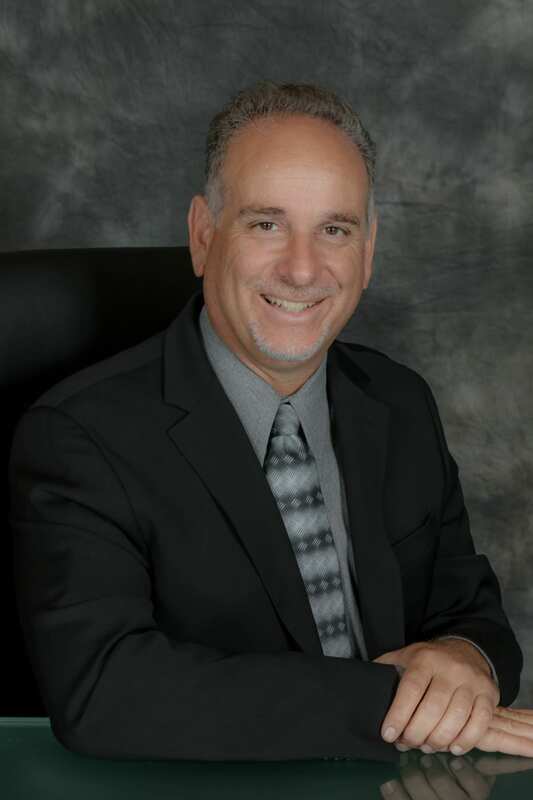 Serving as CEO and President for the Corona Chamber of Commerce since May of 2001, Bobby Spiegel is responsible for all staff and operations of the day to day business conducted at the Chamber. Tasks are divided among professional paid staff, who administer a full service operation, from membership resources, database, website, social media, events, programs and seminars. Bobby is the spokesperson for the Chamber. The Corona Chamber services the business community stretching throughout the Corona region – best identified by geographic boundaries (though any business can be a member of this Chamber), from Ontario Airport, to the southern portion on I-15 at Indian Truck Trail, next to Lake Elsinore. The Corona region encompasses communities within the western Riverside County including Corona, Eastvale, Jurupa Valley, Norco, and parts of Riverside. A small but growing portion of businesses are filtering in from the Chino and Chino Hills area. Dr. Sam Buenrostro is currently Deputy Superintendent for the Instructional Support Department in the Corona-Norco Unified School District. Sam has been a resident of Corona for over 28 years. He obtained his Bachelors from Chapman University, his Masters from Cal State San Bernardino, and his Doctorate in Organizational Leadership at the University of LaVerne. Sam is married to Sandra, a Corona High graduate. They have three children: Eric, Luis, and Samantha. Sam was the principal of Centennial High School for 8 years. Prior to that Sam was an assistant principal at Centennial High School in Corona and Ramona High School in Riverside. Sam was also a teacher and head coach at Santa Ana High, Riverside Poly, and John W. North. In 1991, Sam led Santa Ana High school to a CIF championship and national recognition. During Sam’s tenure, Centennial High School received numerous accolades including: numerous CIF Championships, Riverside County Model of Excellence, National PLC School, named one of Americas Best High Schools, a California Golden Bell, and the 2009 Corona-Norco and Riverside County Principal of the Year. Dr. Buenrostro places high importance on community, service, and healthy living. 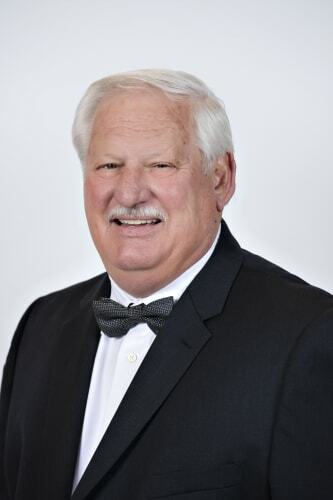 Over the years Sam has provided service as a member of Kiwanis, Rotary International, Lions Club International, Boy Scouts of America, and a coach and referee. Sam is passionate about living life with a purpose, the power of people, and about making a difference. Angie Byars is the Plant Manager at the 3M Industrial Mineral Products Corona facility. Angie has 20 years of experience working for 3M in various manufacturing positions, supporting many businesses and products. She has a Bachelor of Science degree in Chemical Engineering from the University of North Dakota and an MBA from the Carlson School of Management at the University of Minnesota. 3M is a global innovation company that turns ideas into ingenious products and solutions. Over the years, 3M innovations have improved daily life for hundreds of millions of people all over the world. 3M produces more than 55,000 products and has operations all around the world. The 3M Industrial Mineral Products operation, located in Corona, produces roofing granules for asphalt roof shingle manufacturers in the west coast area. 3M Corona has been a long-standing community supporter providing grants, donations, and, outreach to the greater Corona area schools and non-profits. Anthony Edwards is the Director of Development for Robertson’s Ready Mix. In his role at Robertson’s, he handles the acquisitions, permits, and future development plans for the company’s ever-expanding growth. Robertson’s is Southern California’s largest provider of ready mixed concrete and currently has over 60 operations locally. 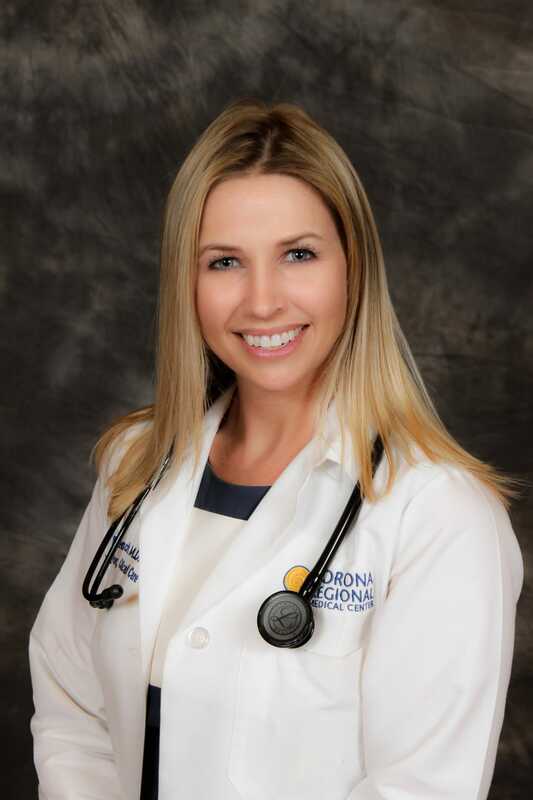 Dr. Aimee French, a graduate of UCLA Medical School, is a quadruple board certified physician who opened her medical practice in Riverside and Corona in 2013. She is the local Inland Empire Chairman for the American Lung Association, and has helped in the planning committees for the Annual Lung Walk held each November. She has aided in the Lung Expo that was held May 2015 in Ontario, and in July 2015 Dr. French was the lead author for a research paper along with her colleagues at Cedars-Sinai Medical Center. Dr. French has been recognized on the 40 under 40: Best & Brightest list by the Corona Chamber of Commerce in 2016, 2017, and 2018. Lifetime Vinyl Fence Fabricators, Inc.
Don moved to Corona in 1990. Don retired after 32 years as a School District Administrator, Don retired from the school district to devote his time and energy to his vinyl fence company, Lifetime Vinyl Fence Fabricators, Inc., which fabricates vinyl fence material for approximately 125 contractors in Southern California. 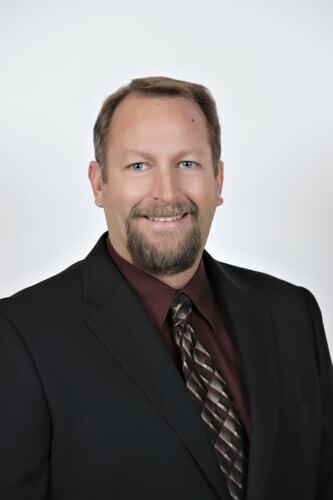 Don has been a subject matter expert for the California State Contractors License Board in Sacramento. Don is married to Sally and together they have four adult children and four grandchildren. Don is very proud of his family and his involvement in the community. Don is a Board member of the Corona Chamber of Commerce, where he was Chairman in 2017. 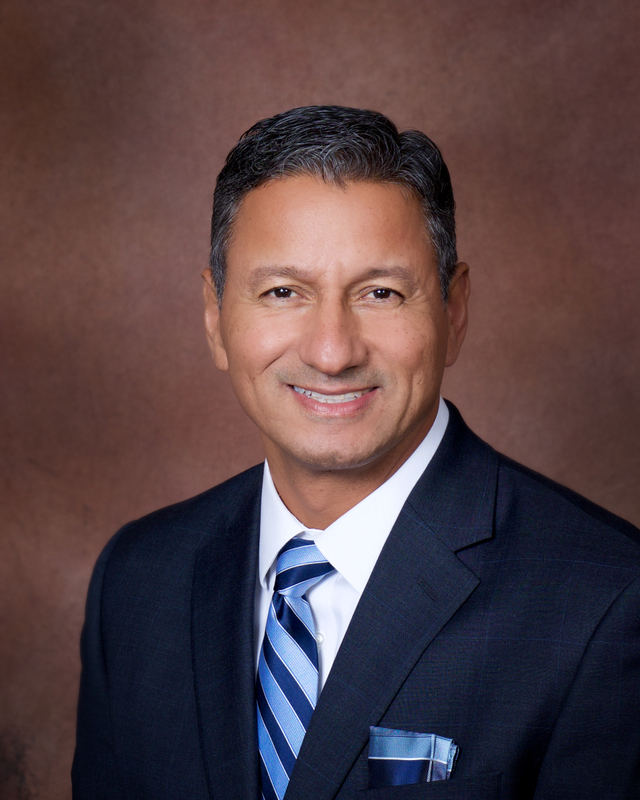 He is on the Governing Board of the Corona Regional Medical Center, Board member of the Corona-Norco Family YMCA, on the President’s Advisory Council at Norco College, President of Eagle Glen Homeowners’ Association, and Board member of Circle City Rotary. Don feels blessed and fortunate that he can give back by supporting many non-profits in his community. A Vietnam Veteran, Jim Gore proudly served in the United States Army as a Combat Medic with the 173rd Airborne Brigade. Jim has spent nearly 40 years in the construction materials industry. He currently serves as land-use permitting manager with Vulcan Materials Company. He transitioned into land-use permitting department 24 years ago and has never looked back, enjoying the different and unique challenges that every new project brings and working closely with lead agencies to resolve them. Jim is currently working on an innovative project in Corona that will increase mining efficiency and reduce environmental impacts while maintaining a valuable source of local construction grade aggregate materials. Family law attorney Kristen Holstrom is sharp, dynamic, and compassionate. At the age of 16, Kristen went to work for her prestigious father, Dayn Holstrom, where she started learning the complexities of family law at a young age. Kristen attended Jacksonville University in Florida with a full scholarship to play NCAA Division 1 soccer. During her time there, Kristen earned a bachelor’s degree in Business with an emphasis in Marketing and Economics. After college, Kristen returned to California, earned her Juris Doctorate from Trinity Law School, and passed the California State Bar Exam. 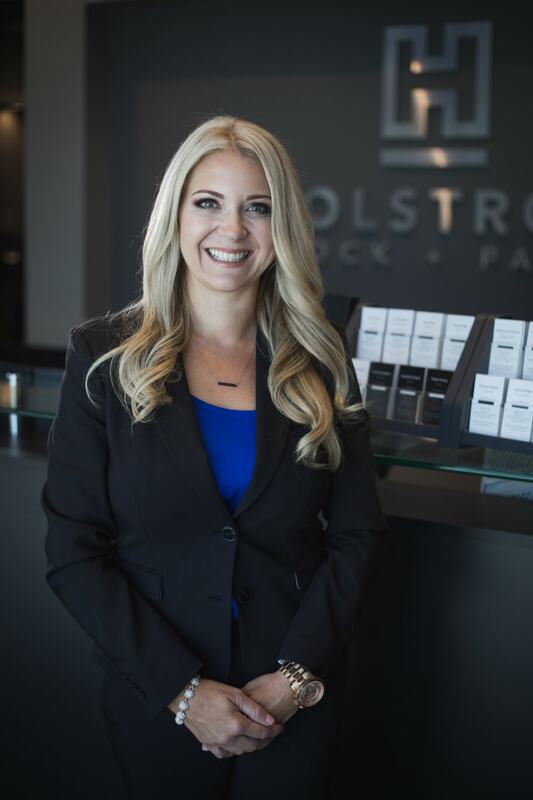 At Holstrom, Block & Parke, APLC, Kristen is the Assistant Managing Partner. Following in her father Dayn Holstrom's footsteps, Kristen has quickly become a well-known and respected attorney in the legal community. 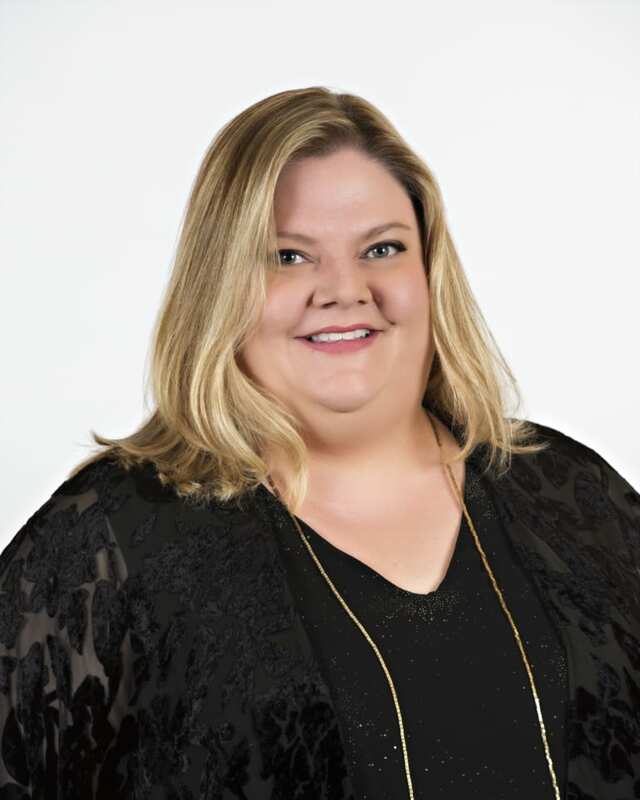 In addition to her role of Assistant Managing Partner, Kristen is also in charge of their new client intake team, assists with marketing, and manages her own caseload. Kristen is deeply valued by her clients for her creative legal strategy, aggressive nature, and unwavering loyalty. Her specialties include divorce, child custody, spousal support, child support, restraining orders and related family law issues. In her spare time, Kristen enjoys spending time with her family and friends, traveling, reading, watching football and the outdoors. Never one to shy away from visiting new places for weekend getaways, Kristen and her husband religiously ensure they are able to catch all of the Green Bay Packer NFL games, wherever they are. Ruth Jaffe works for Kaiser Permanente as the Area Operations Leader for the Riverside Service Area. In this role, she has a direct impact in supporting the work that Physicians, Providers, Nursing Staff, and Ancillary departments perform on a daily basis. The ultimate goal being providing excellent patient centered care to their members and the communities they serve! She received her Bachelor’s of Science in Nursing from the University of Southern California and has a Master’s Degree in Nursing Administration from the University of California, Los Angeles. She is the oldest of six children and an immigrant from El Salvador. Ruth is very proud of her heritage and her family accomplishments; She enjoys inspiring young adults to pursue professional education and being positive and enthusiastic in everything they do! 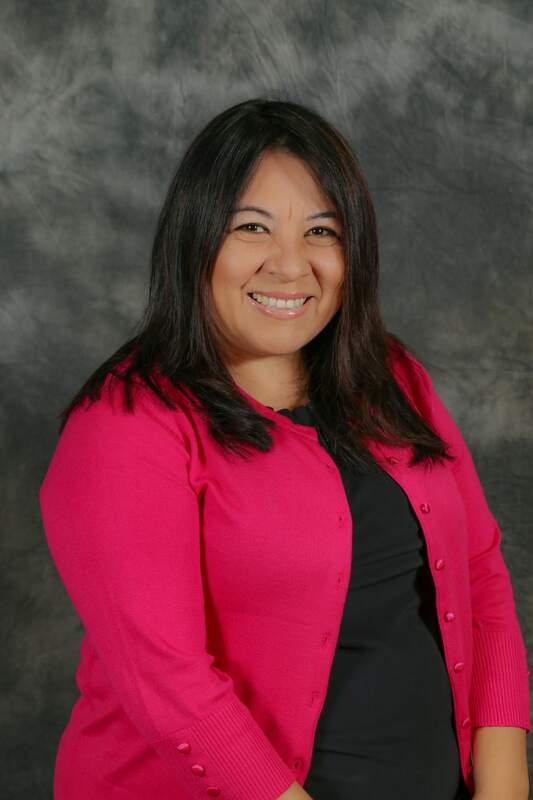 Ruth has lived in Corona since 2008, is married to Jason and has two children, Jaela (age 10) and Tessa (age 9). Attorney Sean R. Kelley is the founder and managing attorney of Kelley Law. With a focus in Estate Planning, Trust Administration, Corporation Formation and Corporate Maintenance, Sean firmly believes that protecting and securing one's personal and professional legacy are the most important things a family can do. Sean's approach to law is the same as his approach in life; that Family and Faith must be central. Building a business up from the ground or creating a Trust to pass on your legacy is about providing stability and financial independence for your family and passing that security into future generations. 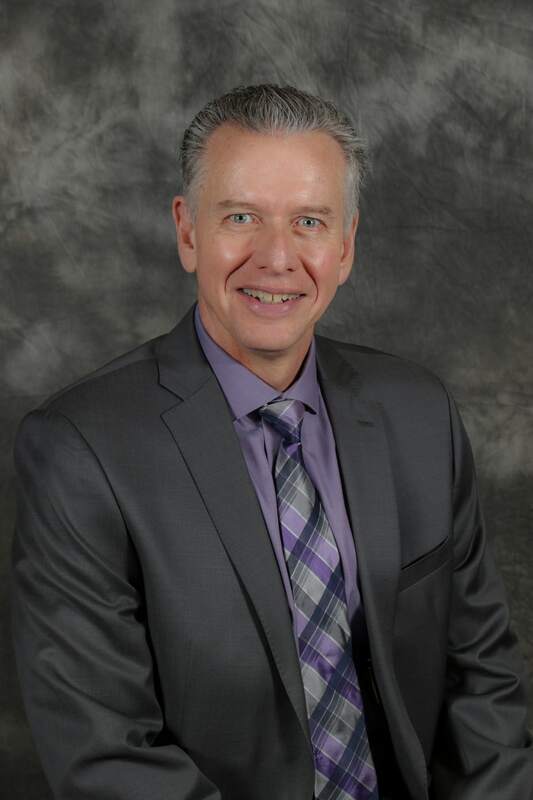 Gordon Macaulay has a broad background and experience that span over 30 years, including: leading and transforming manufacturing operations, Lean Manufacturing implementation, organization and team development, and Instructional Systems Design. From March 2016 to present, Gordon has been the Business Unit Director for the Collins Aerospace (formerly Rockwell Collins & B/E Aerospace) Corona, CA manufacturing facility. This facility is the primary source for the interior structural panels required to build the B737 Lavatories. It’s also home to an extensive portfolio of composite panels used throughout the aerospace industry. He is fully accountable for all aspects of business operations and P&L for the facility. When the bottom dropped out of the auto industry in 2008/9, many former employees were left on the sidelines. Having spent 20 years with Ford Motor Company launching both new products and processes, it only made sense to parley that experience into a consulting business. Thus, the birth of new business called Lean Innovations Consulting, LLC. Gordon founded and operated the company with the intent of providing Lean strategies and innovative business solutions to help companies solve organizational challenges. In addition to his Ford career, he also spent eight years in the healthcare industry, specifically working in psychiatric inpatient treatment centers. During these years, he instructed hospital administration and staff on Non-Violent Physical Crisis Intervention techniques, supported the launch of a new psychiatric unit, managed adolescent inpatient education, and provided direct inpatient care. Gordon holds the following advanced degrees: Master of Education in Instructional Technology and Bachelor of Science in Psychology from Wayne State University. He also has numerous certifications, including: Six Sigma Green Belt, Lean Learning Academy, and Executive Coaching. Chad Miller is the Director of Contract Manufacturing at American National Manufacturing. Having grown up in a family manufacturing business since the 1970s, Chad has been exposed to manufacturing, industrial materials, and fabrics literally all of his life. At a young age Chad worked alongside his parents, Craig and Evedean, and older brother, Craig Jr., in all aspects of the business over the past 35 years. Chad has helped the company to grow the Contract Manufacturing Division to new sales records and has won numerous awards, including the Corona Chamber’s Manufacturer of the Quarter in 2013, Runner up for The Spirit of the Entrepreneur Award (2016), and recognition by the California State Senate, California State Assembly, and from the City of Corona. In addition to Chad’s successes for the company, Chad is also an inventor and has filed two patents. He has expertise in assisting his customers in the filing of their own patents to protect their products as well. 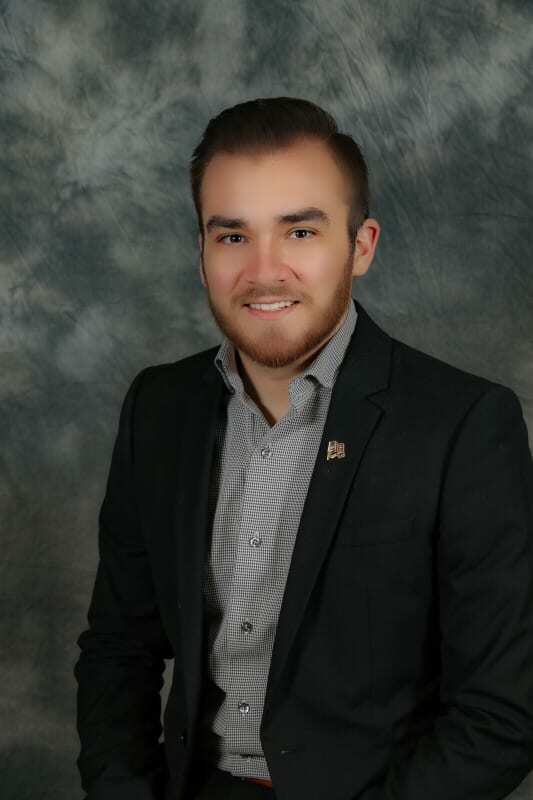 Chad currently serves on the Legislative Action Committee for the Corona Chamber of Commerce and has served since its inception over 9 years ago. He also serves on the Industrial Fabrics Association’s Exhibitor Advisory Committee. Chad is married and has 2 stepdaughters and a son with his wife, Janette. 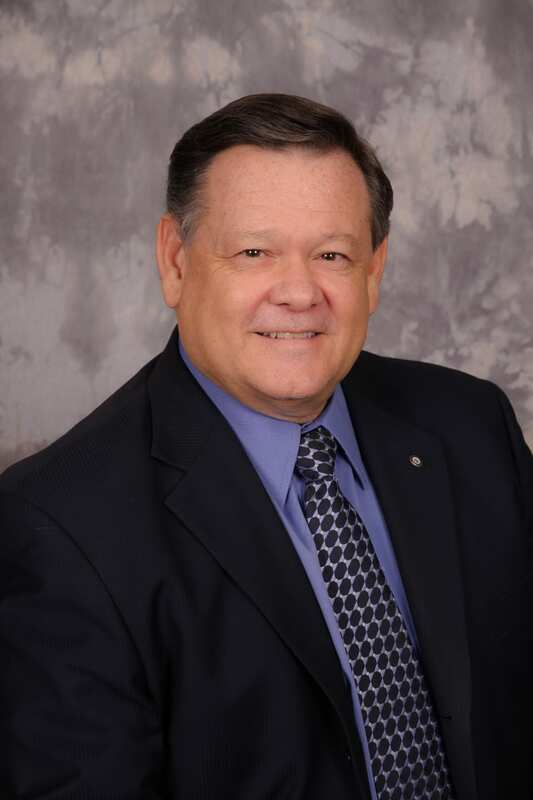 Mark Peabody is the Chief Executive Officer of Peabody Engineering & Supply, Inc., where he has worked for 40 years. Peabody is a manufacturer of rotationally molded plastic products, including their proprietary line of chemical and water storage tanks, as well as custom molded products for a variety of industries. Peabody also manufactures RF Transparent Architectural Concealment enclosures for hiding cellular and microwave antennas from public view on buildings and other architectural features. Peabody Engineering received the Manufacturer of the Year Award from The Chamber of Commerce in 2013, The Inland Empire’s Top Workplace Award from The Riverside Press Enterprise in for 5 years running. The company also was awarded CSUSB Spirit of The Entrepreneur Award in 2015 for top Family Business and in 2018, they received the Small Business Administration’s award for Top Family Business for Region IX of the United States of America. Mark was also honored as Father of the Year in 2018 by the American Diabetes Association. Mark is a fifth-generation California native and 16-year resident of Corona. He has a B.S. Degree in Finance and has been married to his wife Cheryl for 34 years with two adult sons, both of which are Eagle Scouts. 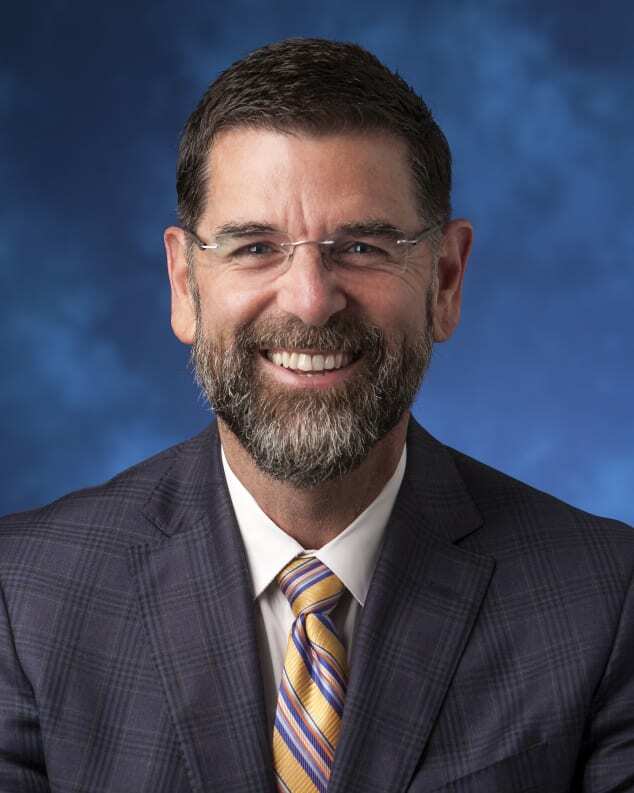 He has a passion for his community, having served in organizations like Little League, Boy Scouts of America, The Foundation for Community and Family Health and the YMCA, where he has held several positions in leadership. 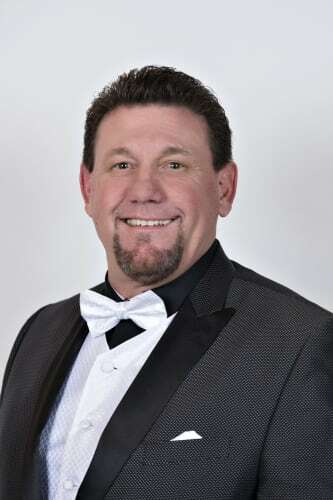 In addition to being 2016 Chairman of the Board for the Corona Chamber of Commerce, He also currently serves on the Governing Board for Corona Regional Medical Center and the Board of Directors for the Circle City Rotary Club in Corona as the Fundraising Chair and is actively involved in serving at Crossroads Christian Church and Comedian Nazareth’s Laughter For All/Change California Board. Mark’s hobbies include Gardening, Cooking, Collecting Wine, Hiking and Scuba Diving. Linda is known for her infectious laugh, her ability to drive to the heart of a business problem and her long history of volunteerism in our community. In the years she has been involved in community volunteerism; most of the City’s non-profit organizations have been enriched by her contributions. 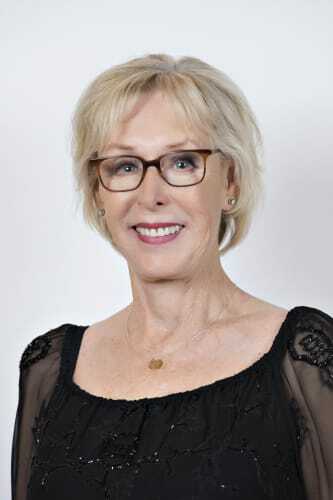 Linda Pearson is currently the Director of Marketing and Volunteer Services for Corona Regional Medical Center. 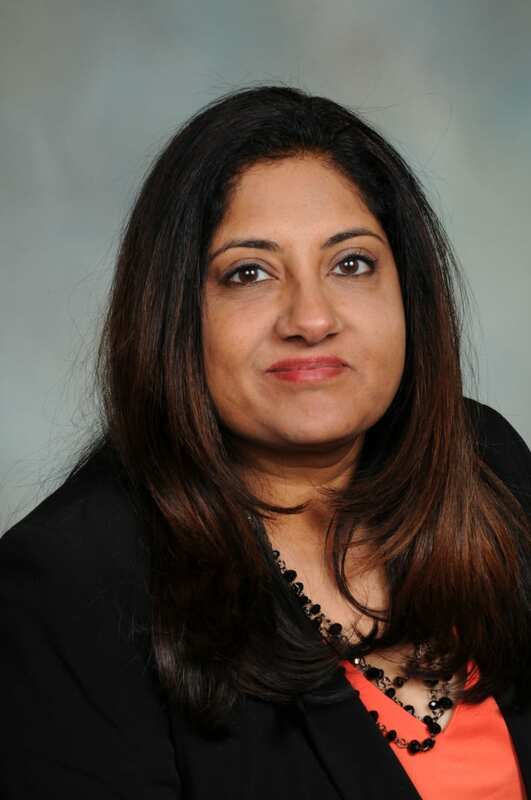 She has been a member of the Society for Consumer Affairs at both a state and national level, and the Association for Healthcare Philanthropy. Linda has been an active volunteer, spokesperson and fund-raiser for organizations such as the Foundation for Community & Family Health, United Way, Corona Fire Department, Boy Scouts and Circle City Rotary. 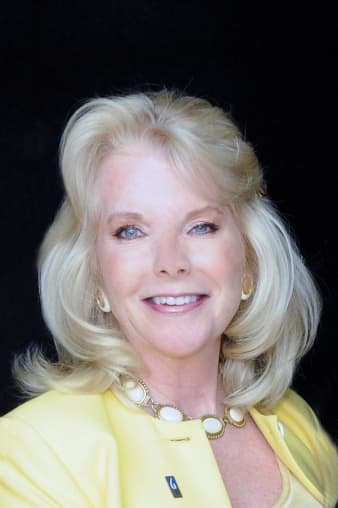 Linda received the Distinguished Citizen Award from the Temescal Boy Scouts of America, was named a Women of Distinction by Soroptimist International and The Business Press and in 2013 received the Corona Chamber’s Citizen of the Year recognition. Linda served as a member of the “Think Tank” at Crossroads Christian Church that conceived the idea for the master-planned facility they proudly showcase today. 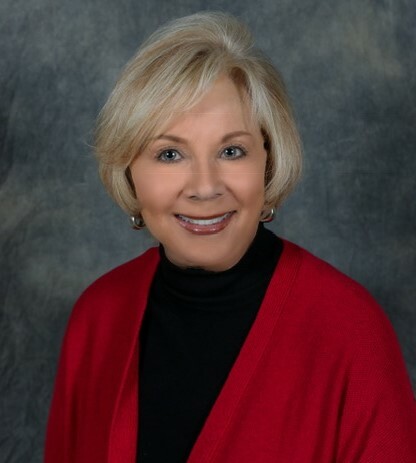 Linda has served in many leadership roles with the Corona Chamber from a past Chairman of the Board and a present 2018 Board of Directors Member. Public Affairs Manager for Southern California Gas Co, the largest natural gas distribution company in the US with over 22 million customers. Lea's primary responsibility is advancing the company’s interests before local, state and federal government officials in Riverside County. 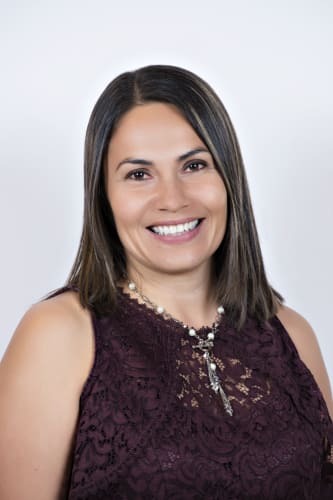 Lea serves on the Board of Directors of numerous business & community organizations such as: Riverside County’s Workforce Investment Board; Corona Chamber; Riverside Chamber; Asian Business Association Inland Empire and many others. Lea has been recognized for her leadership supporting businesses, minority & women owned enterprises to gain access to new opportunities by the Riverside County NAACP, the Corona Chamber, Black Voice Newspaper, the Asian Business Association IE, the Riverside County YWCA as “Woman of the Year” & Riverside County Commission on Women. The California Assembly & Senate have recognized for her emergency response during the devastating wildfires. 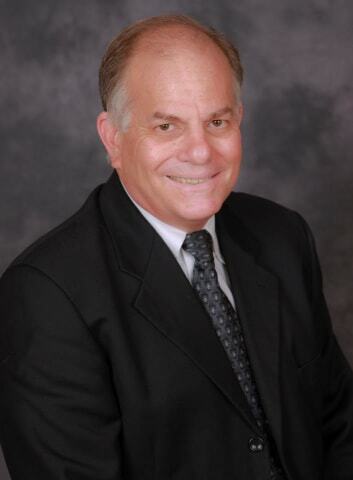 Dr. Anthony Pirritano grew up in Corona, attended UC Riverside and Cal Poly, Pomona receiving his Doctor of Chiropractic Degree from Los Angeles College of Chiropractic in 1992. He was Valedictorian and received the awards of Clinical Excellence and the prestigious Presidents award - the only graduate to receive all three awards. He was then elected as the youngest member of the Board of Regents at LA College of Chiropractic. In 1992, Dr. Pirritano took over what is now Integrated Medical Center of Corona, which has been serving the Inland Empire for over 60 years. 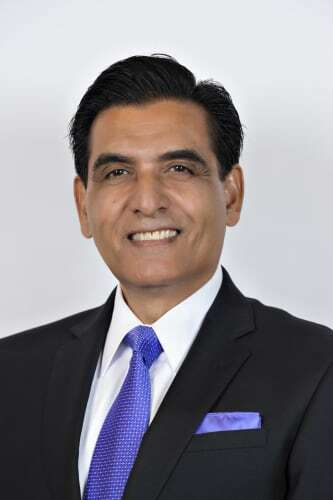 Mike Quraishi is the President and owner of Excellence in Service Award winning company Aladdin Cleaning Services Inc. which has been in business since 1999. Mike has a Masters Degree in Business Management and two Bachelor degrees, one in Math & Physics and other one in Aircraft Engineering. Mike also holds Federal Aviation Administration Airframe and Power plant license. Mike’s professional experience includes 22 years in aerospace and Hi-tech industries, where he held senior management positions in the areas of Commercial Passenger Aircraft Certification and Aircraft modifications with Boeing and Douglas Aircraft. Aladdin Cleaning Services Inc. has received numerous awards including "Best of 2015" awarded by Thumbtack. Mike was also a nominee for the Spirit of the Entrepreneur - Award 2011, 2013 and 2014. Mike is a proud father of triplets. In his spare time (if any) he likes to play golf, hike and fly. Norco College’s new president is a familiar face in Inland education circles. Bryan Reece took over as leader of the 13,000-student college Jan. 3, 2017. The 55-year-old Murrieta resident has served as vice president of instruction at Crafton Hills College in Yucaipa for 3 1/2 years. Reece worked at Cerritos College from 1991 to 2013, where he held two dean positions, served as academic senate president and taught political science. His goals at Norco include forging closer ties with local school districts to build enrollment. “Some students think college is not for them,” he said. “We need to get them onto campus and show them there are so many routes that can improve their quality of life.” He also wants to strengthen efforts to increase college success for historically underserved communities, including low-income and immigrant students. 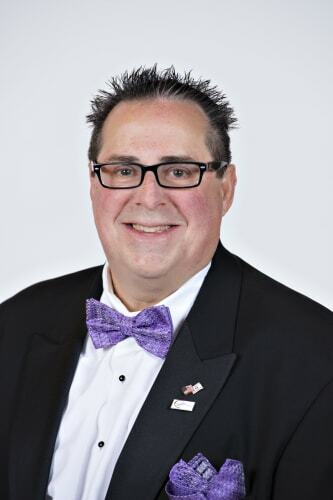 Dean Seif is the owner and president of CARSTAR Allstar Collision, Inc. and the Seif Real Estate Group, Inc. Dean is a firm believer in the Chamber principles and an advocate for the Chamber. Dean served as the Chairman of the Board in 2015 and currently serves as the Chair of Legislative Action Committee (LAC). Previously, Dean has served in various roles on the Chamber Executive Committee as well as the Chair of the Chamber Ambassadors Committee. Dean is a member of the Corona Rotary Club. 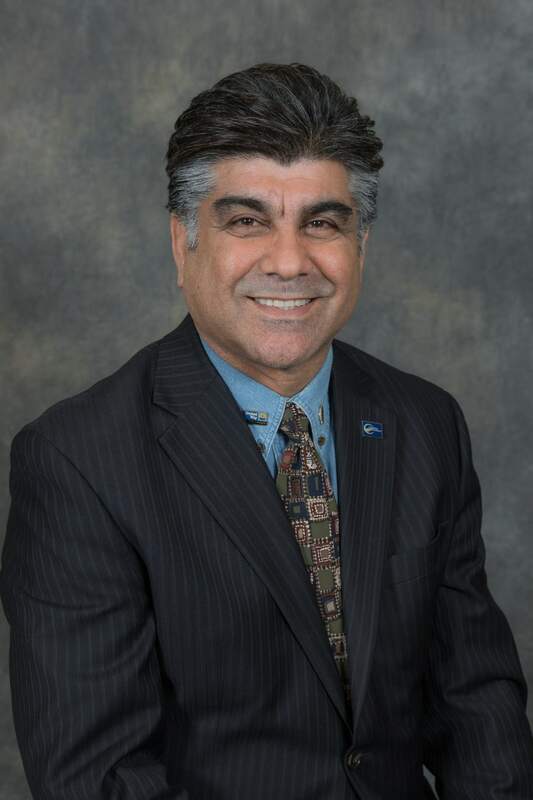 He serves on the Governing Board of the Corona Regional Medical Center, the Board of the Corona-Norco United Way, and the Board of the Chamber Foundation. Dean's professional experience includes over 25 years in aerospace and hi-tech industries, where he held positions as a flight engineer on Boeing 727 and Airbus A-300, director of quality and manufacturing, and quality and manufacturing consulting and training. Dean was an adjunct professor at California State University Los Angeles, DeVry University, and Riverside Community College, where he taught engineering topics and statistics. Dean has a B.S. in aerospace engineering technology and a master’s degree in technology management. 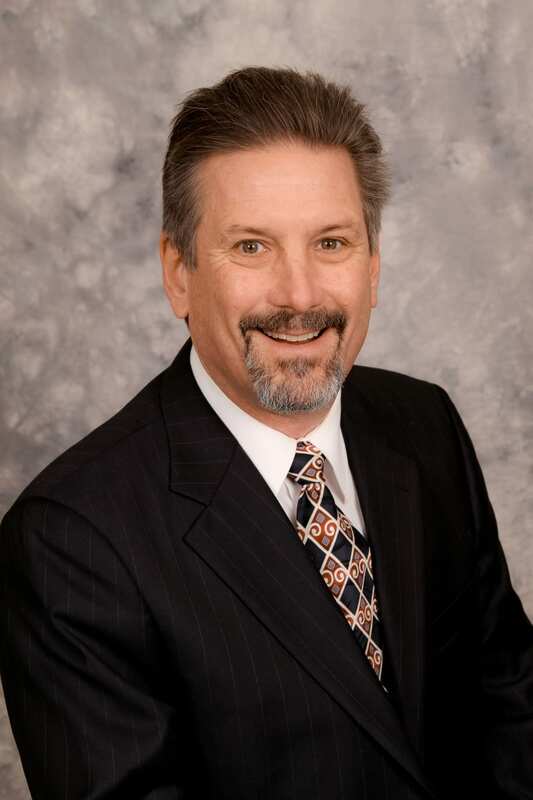 Dean was the recipient of the CalChamber “Small Business Advocate of the Year” in 2017, Corona Chamber’s “Small Business of the Year”in 2013, the "Chairman's Award" in 2011, and "Award of Excellence in Service" in 2010. Dean and his wife Shannon have three children and three granddaughters. Jan Steiner, former owner of Thoro Packaging, has accomplished growth of a business initially started by her father. A unique and specialized folding carton packaging manufacturer, Jan and her professional team provide clients with top quality, effective packaging that is the envy of all competitors. Well-known and respected throughout multiple organizations, Jan has capitalized on her knowledge, experience and common sense. 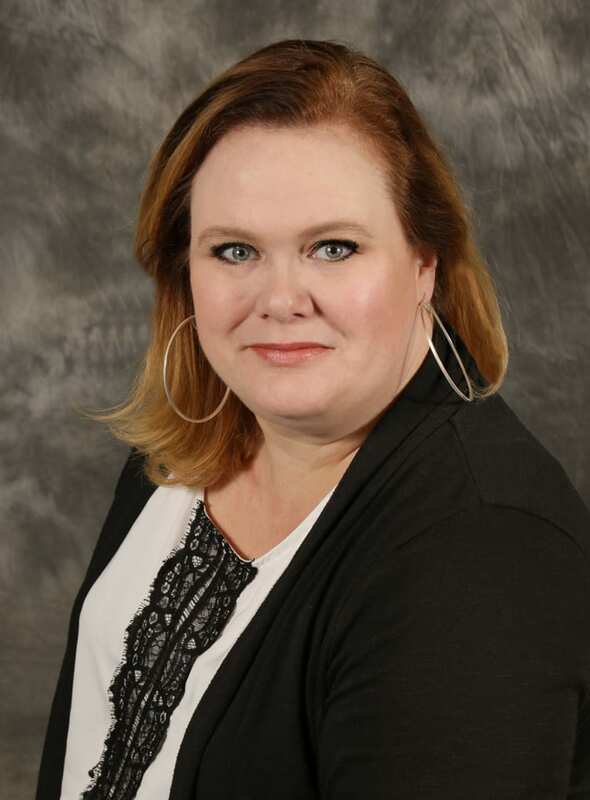 Jennifer Stewart serves as the Office of Research and Technology Applications (ORTA) representative for Naval Surface Warfare Center, Corona Division. 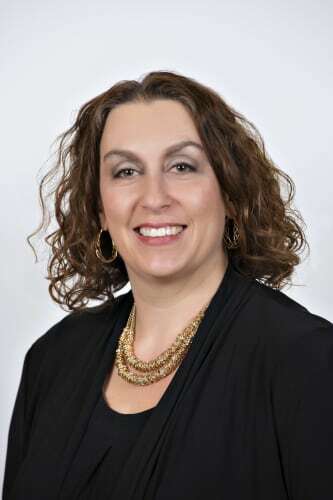 As the ORTA, Jennifer Stewart acts as a broker, connecting Corona Division’s scientists and engineers with academia and industry for technology transfer. Stewart, a graduate of California Baptist University, Riverside, Calif., joined NSWC Corona’s Product Engineering Assessment Department in 2003. Corona Division received its Federal Laboratory designation on Jan. 26, 2010. In December 2012, Stewart left Product Engineering Assessment Department to head up the ORTA position full time as the technology transfer officer. In addition to serving as ORTA, Stewart supports the Federal Lab Consortium as the Far West Regional Coordinator. The Far West Region is home to over 200 laboratory facilities with research and development (R&D) areas such as energy, aerospace and defense.